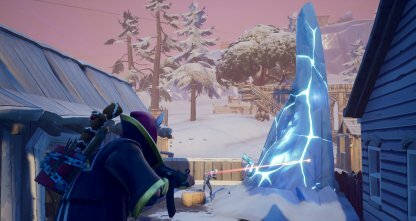 Check out this guide to complete the "Deal Damage with Shotguns or SMGs to the Ice Legion" Challenge for Fortnite's Ice Storm Challenge! 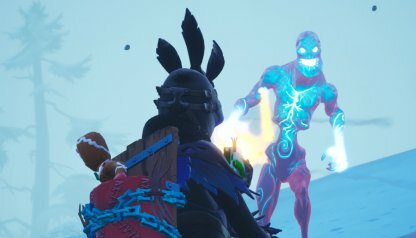 Included here are tips and tricks to complete the challenge. Don't get too close! 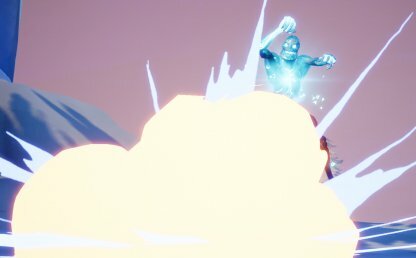 To complete this challenge, you need to deal 10,000 damage to the Ice Legion using close-range weapons only! These include the Shotgun, and SMGs. 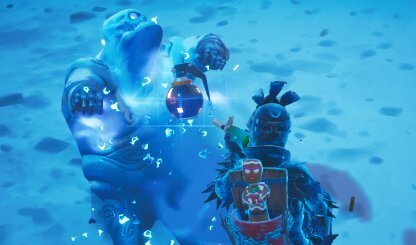 In order for you to complete this challenge, you are restricted to use only Shotguns, and SMGs to deal damage to the Ice Legion. A table below shows the available weapons that you have at your disposal. 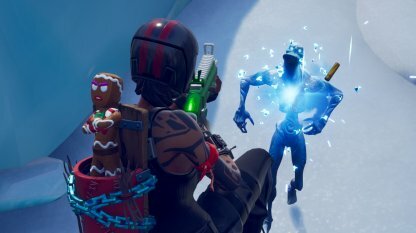 Damaging any of the Ice Legion monsters with Shotguns or SMGs will progress the challenge. 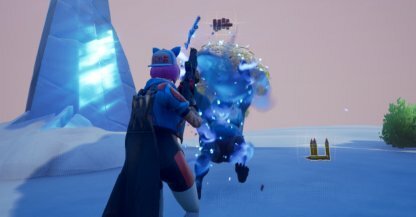 Using Shotguns or SMGs to damage the Ice Shard, however, will not. 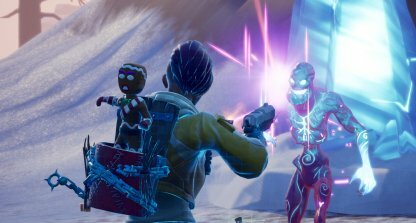 This challenge is not single match-restricted and can be completed by players across different games. 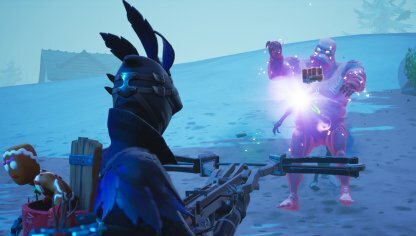 Challenge progress will not reset after every match. 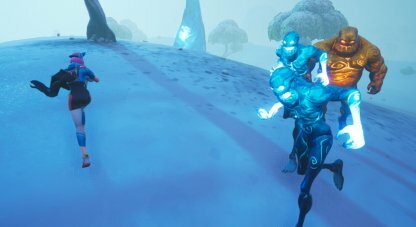 The Ice Legion monsters will only spawn from the Ice Shards so the first thing to do is locate one. 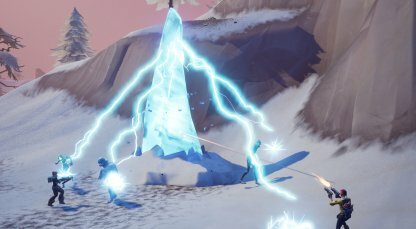 It's pretty easy to spot since it's a towering shard of ice! 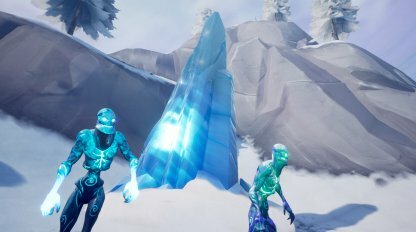 Continuously farm for monsters by not destroying the Ice Shard yet. 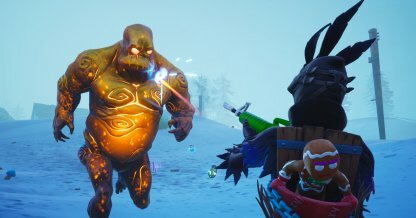 It will spawn monsters you can damage as long as it is still stands so use that to your advantage. 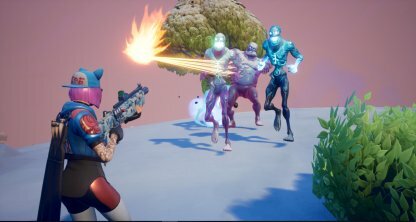 In order for you to easily deal damage to enemies, run around the area to make them follow you. 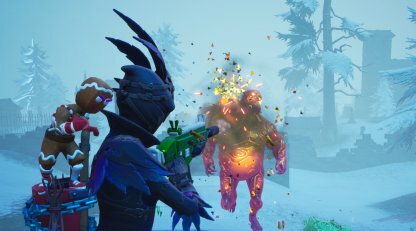 This will give you clear shots, with your Shotgun and SMGs!